Cynthia Matossian, MD was interviewed on the benefits of Bromday in a video which can be found on EyeTube. 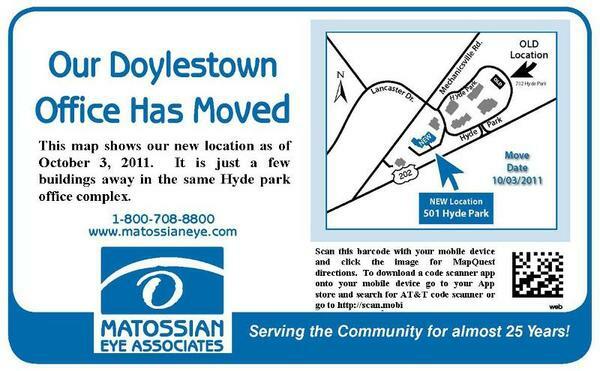 Priya Desai, MD updated family medicine physicians on Age-Related Problems of the Eye at Doylestown Hospital. Cynthia Matossian, MD reviewed Essentials of Cataract Surgery by Bonnie Henderson, MD at the request of the publisher. "Focusing Ophthalmology on Reframing Glaucoma Evaluation" to the Mercer County Ophthalmology Society. Cynthia Matossian, MD presented "Update on Ocular Inflammation" to Ophthalmologists in Red Bank, NJ, Norfolk, VA and Raleigh, NC. Cynthia Matossian, MD was selected as one NJ's top ophthalmologists according to the Star Ledger Inside Jersey, Special Edition Oct. 2011. She was also selected by U.S. News and World Report as a top ophthalmologist. Age Related Macular Degeneration (AMD) afflicts approximately 2.5 million older adults in Europe and 1.8 million in the US. A study demonstrated that consumption of specific nutrients is associated with lower risk of early AMD. Higher intakes of Omega 3 fatty acids of EPA+DHA, beta-carotene, zinc, lutein and zeaxanthin were associated with significantly reduced risks of early AMD in older adults at genetically higher risk of the disease. Prevention is the key to halting the increasing incidence of AMD. Prevention strategies emphasize nutritional supplements including long-chain omega-3 fatty acids, antioxidants and smoking cessation. In order to help our patients start their Omega 3 supplements as effortlessly as possible, at MEA we provide PRN brand Omega 3s for sale in our office or directly from our website. You can read the entire article here: Long Chain Omega 3 and Some Antioxidants May Lower Genetic Risks fro AMD. 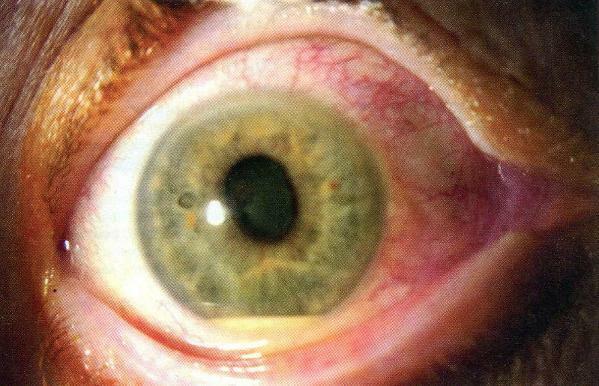 Vera A. Mayercik, AB, Andrew W. Eller, MD, and Matthew S. Pihlblad, MD for Archives of Ophthalmology, Volume 129 (No. 7), July 2011 hypothesize oral candidiasis secondary to inhaled corticosteroids in asthmatics may cause transient fungemia, which can seed the choroid and lead to Fungal Endophthalmitis. To read their findings and relevant case studies -- click here -- for the full article. Lenstec's Softec HD implant was designed to meet higher patient expectations in a micro-incision lens. It offers the benefit of Precision Series labeling in quarter diopter steps for improved outcomes. Bi-Aspheric Zero Aberration Optic design on both the anterior and posterior surfaces which enhances depth of field. At MEA, we have incorporated the Softec HD IOL as one of the wide array of implant choices (AMO, Alcon, B&L, Hoya, Staar) we offer our patients. 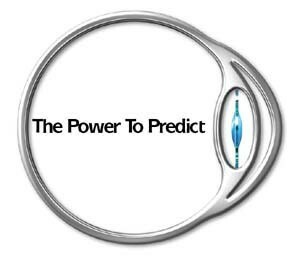 Our goal with every cataract patient is to personalize the implant selection to each person's individual visual needs. 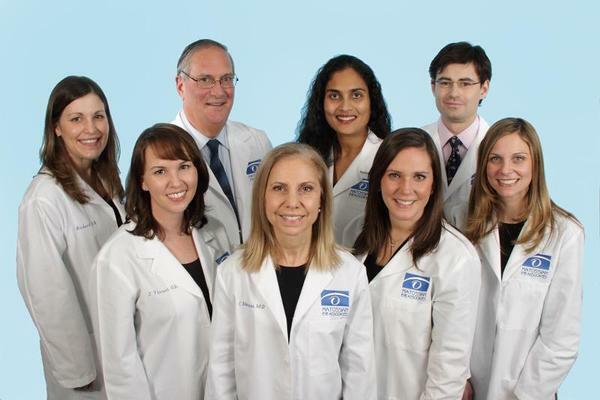 Matossian Eye Associates was founded in 1987, our professional objective is to provide every patient with excellent eye care in a personalized and caring manner. Our practice offers a complete range of preventive and corrective eye care, detection and treatment of eye disease and surgery of the eye, all using the most advanced technology available.